Louigi Moto is a small, dedicated company with a global reputation for doing things ‘the way they should be done’. A specialist Ducati motorcycle workshop and race team, they have an enviable track record. 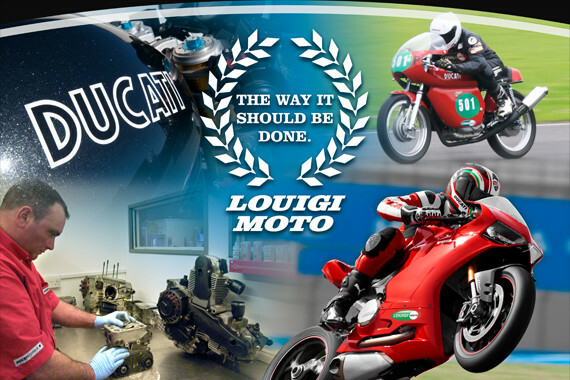 Our work with Louigi Moto has included developing their brand, introducing special sub-brands, website development, advertising, on-track promotions, trade shows and clothing production.